The movie was made by Courtney Stephens, editing by myself and Nichollas Ong. The Brief and our negotiation. This is a ‘negotiated’ project that develops the overall theme of The matter of “Immaterial” in the context of IoT (Internet of Things) and physical, tangible wearable ubiquitous computing. Turning that idea on it’s head the team began to explore the idea of personal space and the notion of what defines a home space. It was this aspect of space and the briefs’ requirement of using the Internet of Things that begun our processes of building a working prototype. A shortage of adequate space, overcrowded spaces make for unhappy homes. “The survey of 2,249 householders who bought homes built between 2003 and 2006 in London and the surrounding counties found that 47% did not have enough room for all the furniture they had or would like to have and 57% did not have enough storage”( Booth, R. (2017). Stated the survey from the Guardian in Aug 2009. The survey shows Homes in Britain have the smallest rooms spaces in western Europe. The problem can only become worse, as reported in the Independent newspaper (Oct 2016) Gavin Barwell at the Conservative Party Conference told the conference attendees that he wanted the private sector to “innovate” ….and that relaxing the rules on how cramped a flat can be would enable younger buyers a change to buy their own property ..(edited version). The issues we identified were how to make these small spaces, smarter and adaptive based on occupancy as use. To take that further, how can we as Digital Art/ Internet Design people use our skills and knowledge to help realise a solution to the idea of altering spaces, without losing the integrity of the notion of “Home”, which the Oxford dictionary defines as “The family or social unit occupying a permanent residence” (Oxford Dictionaries | English, 2018). Through the processes of mind mapping we began looking at developing spaces that changed (dimensionally) based on occupancy and context of use. It was clear that after working through some alternative solutions, moving walls offered a great deal of flexibility and changes of “feel” and purpose to the housing. The article describes how “to transform a studio into a two bedroom apartment–all without adding virtually any additional volume to the overall space”. (Friedlander, 2018). It was from here that I started to develop the idea of an IoT (Internet of Things) based idea to motorise wall movement. From the brainstorming session we chose to design intelligent spaces that changed interior wall layouts to suit occupancy and the usage of those spaces with a home environment. The group chose to build a working model (1 – 15 scale) where walls could be effectively removed to change the way spaces were defined. The 22 m sqr space that was defined through our research for 1 -2 people (fulfilling the Cooking- Eating-Living requirements, necessary for a “home”) was fixed. The internal determinations of the space were then designed to be altered to make “best use” of the internal living environment. I found and example of a 22 m sqr layout and worked on the idea of how we could adapt the use of space based on this layout. After several sketches a began to make mock ups of different wall positions. These sketches were based on an actual living space (22 m sqr) of an apartment in Taiwan. Picture above: Early exploration of floor plan ideas for the model build (there’s a measurement error, which was corrected before production). None of the solutions above looked at the aspect of developing a house that learnt to adapt to situational usage. The model build was a joint venture with Luke Taylor as the model making skills that I carried were match well with Lukes’ engineering background and code skills. The next stage was to prototype a house model with movable walls that had a 22 m2 floor plan. Some of the model building processes and prototyping can be seen in the gallery below. Pic; Some of my early sketched ideas were later to be adapted into CAD DXF files (a joint process with Luke and the lab technician Stewart Starbuck, yes that really is his name!). The planned system was to move 2 walls through slots in the model floor via 5 volt step motors driving a toothed cog and an cog strip attached to the moving wall. The step cycles would allow us to raise or lower the walls based on the arbitrary occupancy data. We chose the NODEMCU boards so we could turn the motors through wireless connections to simulate the wireless nature of our project and how this could be up scaled in reality. Testing each wall individually. Note that the runner supports are unpainted and the furnishing are not completed. Video showing walls in up or down position, with 3D models in situ. It was out first experience in several aspects that were required in making a working model, motorised model. Firstly CAD (Computer Aided Design) skills were rapidly learnt to construct floor plans (original wire-frames were drafted in PowerPoint). These floor plans were used to cut the Medite (MDF) boards to build our model. The laser cutting process was very slow when it came to making grooves in the Medite board, so this grooving to seat the interior walls was abandoned in favour or supportive batons. The build tolerances were so marginal, that the cogs could not keep contact with the cogged strips attached to the walls, and the motors did not have enough power to counter any friction caused through viable tolerances formed during the build.This meant one wall was stuck and didn’t move and the other needed hands-on assistance to move, making the model somewhat un-usable. It was evident the wasn’t enough power in the motors and the loose runner wall desing was prone to jamming, the Node MCU board we we using to drive the motors although had Wi-fi built in, only have 3.3v output to turn the step motors. Also that Gorilla glue tended to expand as it cured, moving the components away from their required postions. The interior structure of the model was stripped and then drawer runners used the assist the walls moving, giving a more stable friction less movement. Automotive grease was applied to free the runner bearings to further reduce friction. The glue was changed from the Gorilla Glue to a super glue to offer more stability and less expansion during cure times for the adhesives. We then used 2 motors instead of of one alongside 2 cogged strips to move the walls. After many hours experimenting we moved to a direct 9v battery power supply to the motors. This meant that each motor was receiving 4.5v from the battery, rather than 1.15v each from the NODEMCU board. The outcome was that the power and torque of the motors was doubled. Our last issue had been the nature of running the walls the hot spot confections and addressing each NODEMSCU micro controller separately through mqtt. An issue we have resolved before final presentation 19th Jan 2018. The model did function after over 100 hrs build time and trial and error adaptation of earlier prototypes, but the construction was delayed due to access to work benches and suitable crafting resources. This was overcome through part home builds and using university spaces to construct and test the model. Lack of experience is using laser cutters and CAD drawing meant elongated timescale for the builds.To resolve these issues in future constructions, allocation of more flexible times for learning new build techniques (CAD and laser cutting) Allowing for time adjustments to accommodate either new motors and or a different designs for moving the walls would also have meant less time compression at the end of the project build. The fabrication process was very hands on and if greater time scale was allowed i would have designed and produced every Medite board component to been laser cut to ensure a more robust model construction. On reflection I would have built a separate external housing for the NodeMCU ESP 8266 boards and the power supply. This would and enabled easier resetting of the boards and and data sockets as the these micro controllers do switch themselves off after a relatively short idle time. The basic programming worked on moving the motors and reversing the motors and the database (although it was carrying only arbitrary data) was successful. As was the PIR detection process so over all the research build and demonstration did conclude successfully. Overall the model was able to demonstrate how the core concept of adaptive intelligent living spaces can help resolve some of the issues arising from living is small spaces in a crowded world. The technologies were an introduction to a core idea that could be further developed into a fully workable solution on a real-life scale. The experience gained in working with adaptive motorised environments opened the realms of future development for us as individuals within the team. It also helped us explore the working boundaries of pro typing, systems design and presentations of a final piece. A married couple may not need personal privacy within the home internally, but may want to be protected from outsiders looking in. Families often have shared spaces such as the kitchen, the dining areas and the family room or sitting room, but when those shared activities are ended personal spaces are required. In England The Parker Morris Report (1961) is most often cite for space standards amongst building people, but it very often ignored in both the private and public sectors (HATC ltd for Greater London Authority, 2006). The trends are that currently the space recommendations from such papers as the Parker Morris reports are not being met and indeed new housing developments are decreasing in size. Taken form the House space standards proposal by the Greater London Council the table below shows the recommendations by them and their consultation process of min space requirements. Cooking, eating and living (Kitchen / Dining / Living) known as areas exclude any utility area or space taken up on plan by staircases or hallways/corridors connecting these areas 2) The minimum floor area for bedrooms to be based on: a) Aggregate bedroom areas to be no less than 7m² per single bedroom and 12m² per double/twin bedroom provided AND b) Each bedroom to have a minimum internal floor area of 6.5m² for a 1 person bedroom, and 10m² for a 2 person bedroom2 . NB1: in larger dwellings each bedroom does not have to be at least 7m² or 12m² floor area; the designer is free to distribute the total amount of space among the bedrooms as they see fit so long as the aggregate space equates to the minimum requirements stated AND the individual rooms meet the minimum requirement of 6.5m² and 10m² noted above. NB2: ensuite bathrooms or shower rooms do NOT count towards this minimum. NB3: the floor space taken up by built in wardrobes in bedrooms counts towards the bedroom floor area 3) Storage cupboards: 1m² floor area for 1p dwelling plus 0.25m² per additional person. 3) Internal play space: nothing for the first two occupants and then 2m² for each additional person. After a brief research into how rooms are defined the author found 5 basic types of room requirements, these of course can be contained in one space or separately or a mixture of each. Sick persons may not receive the care they require. dictionary,2017). The study of space is called Proxemics and was first coined as a term by Edward T. Hall, a cultural anthropologist in 1963 (Dictionary.com. Retrieved November 14, 2015.) and it can bedefined as a way of determining how we as humans use of space around us and the effects thatpopulation density has on behaviour, communication, and social interactions. Far phase – 25 feet (7.6 m) or more. I researched how this idea of personal space and proximity of furnishings, room size and other people determined the sense of comfort within the home environment. The conclusion was a pretty intuitive one that the sense of involuntarily losing ones personal space can have negative impacts of the individuals’ psyche. Add the this the sense of a compressed living space and one can determine that maximising effective space within and given fixed outer shell is necessary to improve housing standards. Anon, (2017). [image] Available at: https ://cdn.qpractice.com/wp-content/uploads/Body-measurements1.jpg [Accessed 11 Nov. 2017]. Anon, (2018). [image] Available at: https://en.wikipedia.org/wiki/File:Personal_Space.svg [Accessed 19 Jan. 2018]. Booth, R. (2017). Rooms in newly built private housing are too small, says survey. [online] the Guardian. Available at: https://www.theguardian.com/society/2009/aug/10/rooms-private-housing-too-small [Accessed 11 Nov. 2017]. Architecture.com. (2017). Knowledge and resources. [online] Available at: https://www.architecture.com/knowledge-and-resources [Accessed 11 Nov. 2017]. Newcastle.gov.uk. (2017). Cite a Website – CitHATCe This For Me. [online] Available at: https://www.newcastle.gov.uk/sites/default/files/wwwfileroot/planning-and-buildings/planning-policy/160519_nationally_described_space_standard_final_web_version.pdf [Accessed 12 Nov. 2017]. En.wikipedia.org. (2018). Proxemics. [online] Available at: https://en.wikipedia.org/wiki/Proxemics [Accessed 19 Jan. 2018]. Housing Space Standards. (2017). [ebook] London: Greater London Authority. Available at: https://www.london.gov.uk/file/8036/download?token=6LOIQqMS [Accessed 12 Nov. 2017]. Oxford Dictionaries | English. (2017). personal space | Definition of personal space in English by Oxford Dictionaries. [online] Available at: https://en.oxforddictionaries.com/definition/personal_space [Accessed 12 Nov. 2017]. Friedlander, D. (2018). Residential Behavioral Architecture 101. [online] LifeEdited. Available at: http://lifeedited.com/residential-behavioral-architecture-101/ [Accessed 10 Jan. 2018]. NODEMCU Board. (2018). [image] Available at: https ://images-na.ssl-images-amazon.com/images/I/71efjnKymHL._SX355_.jpg [Accessed 17 Jan. 2018]. Aouf, R. (2017). A Little Design creates 22m2 apartment in Taiwan. [online] Dezeen. 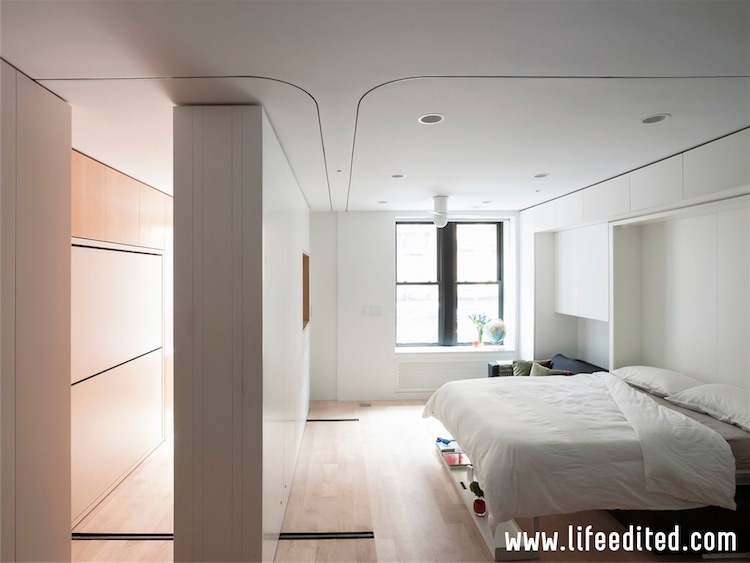 Available at: https ://www.dezeen.com/2016/07/18/a-little-design-maximises-space-tiny-22-metre-square-taipei-city-taiwan-apartment/ [Accessed 1 Dec. 2017]. Ideas, B., Planning, B. and Barnes, K. (2018). Bathroom Layout Guidelines and Requirements. [online] Better Homes and Gardens. Available at: https://www.bhg.com/bathroom/remodeling/planning/bathroom-layout-guidelines-and-requirements/ [Accessed 18 Jan. 2018]. The-incredible-shrinking-man.net. (2018). The Incredible Shrinking Man | Researching the implications of downsizing the human species to better fit the earth.. [online] Available at: http://www.the-incredible-shrinking-man.net/ [Accessed 18 Jan. 2018]. Makuha.ru. (2018). ����������. ����������� ������� ������.. [online] Available at: http://www.makuha.ru/design/10.htm [Accessed 18 Jan. 2018]. Architecture.com. (2018). Cite a Website – Cite This For Me. [online] Available at: https://www.architecture.com/-/media/gathercontent/space-standards-for-homes/additional-documents/ribacaseforspace2011pdf.pdf [Accessed 9 Nov. 2017]. London.gov.uk. (2018). Cite a Website – Cite This For Me. [online] Available at: https://www.london.gov.uk/sites/default/files/hatc_housing_space_standards_report_for_gla_2006.pdf [Accessed 18 Jan. 2018]. Romm, C. (2018). Here’s How the Rest of the World Defines Personal Space. [online] The Cut. Available at: https://www.thecut.com/2017/03/heres-how-the-rest-of-the-world-defines-personal-space.html [Accessed 19 Jan. 2018]. Anon, (2018). [image] Available at: http://lifeedited.com/moving-wall-makes-rooms-and-sense/ [Accessed 19 Jan. 2018]. Friedlander, D. (2018). Moving Wall Makes Rooms and Sense. [online] LifeEdited. Available at: http://lifeedited.com/moving-wall-makes-rooms-and-sense/ [Accessed 19 Jan. 2018]. This entry was posted in INDE, Spaces.